The Avon AV71 Cobra Motorcycle Tire combines style and performance for touring, cruisers, and custom bikes. Avon's advanced VBD (Variable Belt Density) provides improved grip and stability with a large contact patch. The enhanced Aqua Flow tread gives optimal water dispersal. Features a special snake skin sidewall treatment with a Cobra logo. 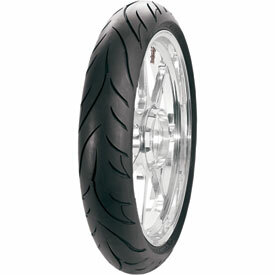 Avon Cobra AV71 motorcycle tires are aimed at the power cruiser/custom market. Unique "snakeskin-effect" sidewall and aggressive motorcycle tire tread pattern. If you want a smooth ride, Avon is the tire to buy. 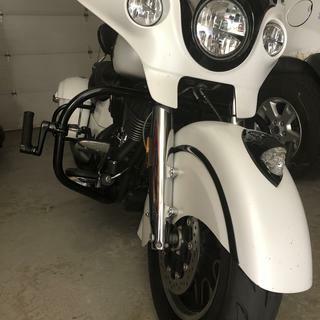 I have rode for 40 years and have tried many brands but have found none that last as long and deliver a ride that will make you feel like you are on a new bike.The price is great when compared to other brands that don't compare to the quality of Avon. You should talk to your shop for advice about mounting it on a non-standard rim. Great handling on my Honda. Well made tire. Great price and good quality equals great value. Always a good value, great price for a moderate tread life tire. Avon has always kept us on the road, I highly recommend Avon tire's for those that are budget minded. Perfect fit for my husbands bike. 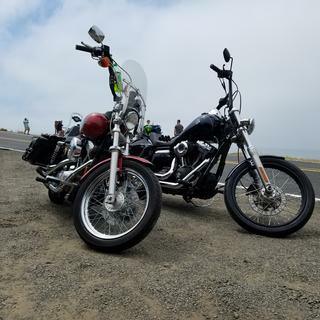 We went on a nice ride for my bday and the ride was nice and smooth. 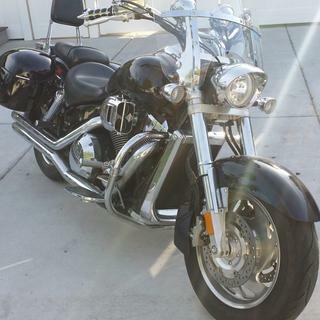 Get handling, good ride and at a great price. The best handling tire I've had on my bike in 11 years! So far so good, just put 1500 miles on the new front tire. Making turns is easier. I like the tread depth and design. Good grip in the rain also. Avon makes the best tires, Rocky Mountain provides the best price and the best service. A win win. Great tire on my second set. This is my second set of Avon's for my Triumph Rocket. Great tires they wear good and very stable,stick like glue. much better than the 880s or MC2s I had previously. Awesome. Rocky Mountain ATV & Avon are top of the line in my book. Tires are awesome. Had same on my last bike. Wear faster than Dunlop 3s but they grip like that piece of tape that got stuck on your finger while wrapping gifts. Plus RM ATV had a hell of a deal on them. Saved over $200 front & rear. They were on my front step in 2 days!! Rides better then stock tire. 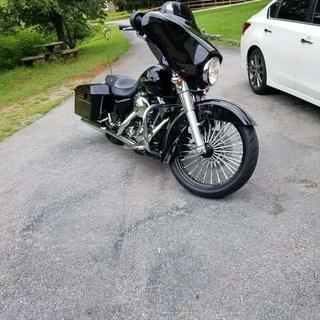 Installed on a 2010 wide glide. This is my second set of these tires. will buy again. Always simple, and the best pricing. got avon cobra tire for raider because it has a 15k mile warrenty. stock metzlar tire got 7k on a front tire and was very dissappointed. have not put this expensive tire on front , but looking at least 12k. Great tires and for the money will choose them over Metzeler any day. I love the Cobra tires. They are not cheap but the mileage will make up for some of the price since these tires are mileage kings. The amazing thing is that even with the higher mileage they stick like glue. There are so many tires to choose from and nowadays most any of them will get the job done. The Shinko Journeys are a lot cheaper and they have always gave me great service but I like the way the Cobra feels on the Victory. It works great from day one and it performs great all during it's thread life. The one thing I have learned is that when the Cobras get to the wear indicators you had better be ready to put new tires on. They go in a hurry for some reason. I love these tires I wish they were a little cheaper but to me they are worth it. As soon as I pulled out of the place where they were installed I could tell how much better they were than my last set of Dunlops. Fell into the corners smoothly. Better feeling all around. Wet they stick no problem. Happily recommend them. Love these tires, this is the 3rd set I've put in my VTX1800N. The Dunlop III's are crap, went through them in less than 12k miles and they wore badly with a center ridge. The Cobra's last me 12-15k depending on my throttle control and they always wear smoothly, never have to worry about dropping into a corner with these, they feel like I'm on rails. Only negative: I live kindly do I took the wheel in to have them mount/balance for me and they replaced my custom chrome air cap with a lovely green one. I didn't notice it until I was home, and they were closed for the night. Still it's worth new valve covers. I get decent mileage out of these but the look is the kicker for me. Handling is much improved compared to my oem original. Excellent in the rain too. Instills confidence on wet roads. Avon Cobra radial front, love It! Great tires. Second set. Awesome tread wear. Great cornering. Great overall performance. On my Yamaha Raider the factory Metzler was horrible and it washed out in a dry curve one day so i knew i lost all confidence in it. So i did some research on the Avon and oh my im super glad i went with this tire . Sticks to the ground wet, dry, cold, what ever you put it through it will perform. Hands down the best tire ever. Avon made a great tire for its' Cobra line. A good long wearing, gripping front tire. The wet traction has yet to be tested personally, but I am sure it will live up to my demands. Give it a try. Avon makes great tire products both motorcycle and auto. I have been running this tire on the front of my bike for 10+ yrs, absolute best combination of traction and wear I have found. Coupled with excellent price from rockymountainatvmc.com, can't go wrong. there was no identifier showing the heavy part of the tire prior to mounting which helps reduce too much weight when balanced. Write your review here. It must be at least 50 characters long. Consider whether you would recommend this product and what you like or dislike about it. Great dry traction....and from what I've ridden in the rain, very good performer with sensible riding. Pretty good tire. Replaced my Dunflop 404 ....so I guess anything is an improvement! Love my bike, and my bike VTX1800 seems to love these tires. So depending on longevity, I will buy another when the time comes. I am a repeat customer. I've been using Avon on both Goldwings for awhile. Wouldn't put any other Tire on them. No issues with the tire and it balanced out with very weight. Tire wears excellent. Only reason for 4 stars it is somewhat difficult to get it balanced. Front tire on goldwing trike. Should get 10000, which isn't bad for trike. About 7500 on it now and still good wear left. Never had an uneasy moment with this tire. Ride in rain and never had a slip. Got 12k miles. Left side of center wore first and the wear pattern isn't quite even around the tire, but I didn't balance it when I installed it, and I typically wear the left side first on all my tires, so this isn't real unusual. Just bought another to replace it. After going through 2 Bridgestone Battle axes, and only getting 7,000 miles out of each , then trying a Bridgestone Exedra and getting 8,500. on the front. I decided to try the Avon Cobra when I went darkside on the rear. I could not be happier with the Avon, 11,000 miles so far, and just starting to show wear. Best traction and wear I've had on any motorcycle tire put on this bike. I installed on customers bike. Test drove the bike a i personally and the customer was very pleased with the tire. 150-60/16 what is the narrowest rim this will fit? BEST ANSWER: I mounted it on the factory rim of my 2001 Honda Valkurie. Before purchasing the tire I called the Baltimore shop that works on my bike, to make sure they felt it would fit. They won’t mount a tire if they don’t think it will perform properly. It’s a large tire, and handling on my bike is great. My shop likes this tire very much, and is always ticked off at me when I don’t buy it from them:-). It performs well for mileage as well. At least it does on my bike. I would suggest you call your shop to get their thoughts. My guys are always willing to help, and that keeps me coming back. Standard rule would be three inches, with a max of 4.5”. Just remember that a narrower rim will change the dimension of the traction patch that’s actually in contact with the road due to the squeezing action of the narrower rim. We do not make a 150/60-16. Do you perhaps mean 150/80-16? If so the bias ply or bias belted (150/80-16 or 150/80B16) will fit 3" and the radial (150/80R16)will fit 3.5" as the narrowest rim. Is this a correct size 150-60/16? 150-80/16 Min. 3.50 in. and Max. 4.25 in. BEST ANSWER: Be better off checking air pressure (front & rear) every day before you ride. Should be no problem steering with correct pressure. Also reccomend taking riding course. I doubt it. Low tire pressure is usually the culprit. I have had 3 sets of Avon Cobras on 2 different bikes and they are excellent long lasting tires. I wouldn’t put any tire on the motorcycle that isn’t recommended by the owners manual. It will give you any an easier feel no sure about steering.